“My illustration depicts the ideal day in central Nebraska . . . 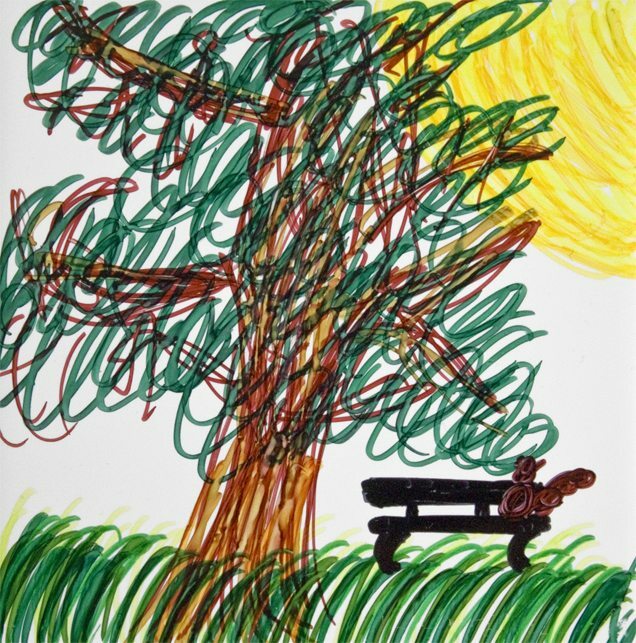 I picture myself on the park bench, open to others’ thoughts and ideas for change!” – Executive Director Denise Zwiener. Each board member reflected on contributions they made to Community Partners’ efforts in 2013 and shared how this organization has “unleashed the potential” for change. They also made a pledge for 2014 and illustrated their pledge to keep in their daily work space and remind them of the potential of partnerships and collaboration. “My illustration depicts the ideal day in central Nebraska. It is calming and welcoming. I will embrace 2014 and lead an organization to Keep Calm and Welcome Opportunities for positive change. 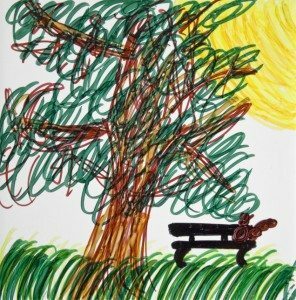 I picture myself on the park bench, open to others’ thoughts and ideas for change!” stated Executive Director Denise Zwiener. We are looking forward to sharing more inspirational board commitments in the coming months!